This article describes how we can show a tablix inside a tablix. 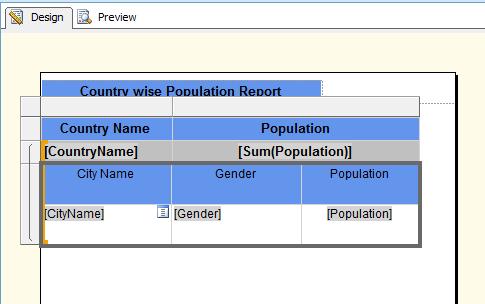 Cascade tablix report is very useful in such cases where we need to show summary and detail data within the same report. 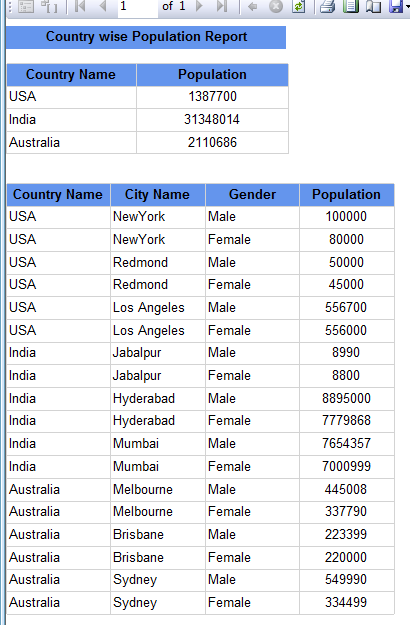 One tablix can be used for summary data and another tablix can be used for detail data. 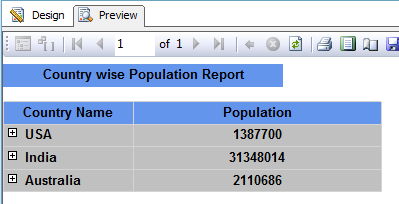 The advantage of this kind of report is that we don’t need to create sub report to show detail data. I. Create a data source that points to required server and database. 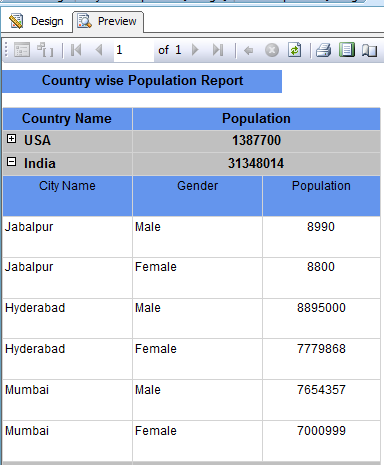 Dataset output is same as above mentioned table. III. 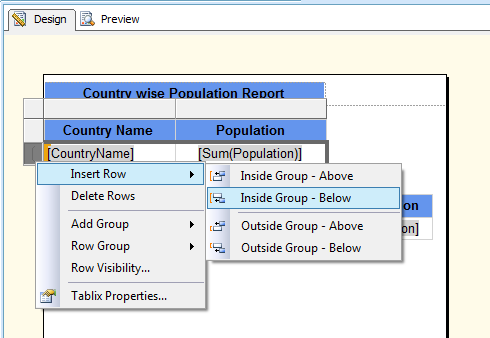 The above report is simple report does not having any groupings. 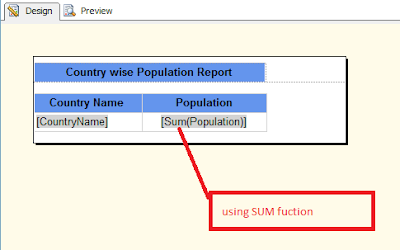 Now we will add a group for Country Name. 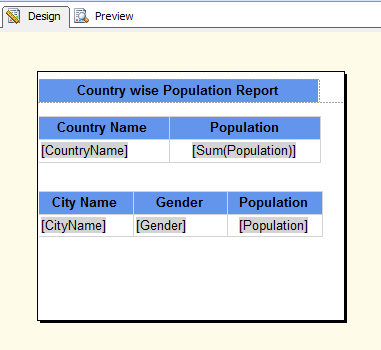 For Grouping, Go to grouping paneè Row Grouping èright click on the Details groupè Group propertiesèGeneral tabè Group on should be “Country Name”è click. V. Preview the report. 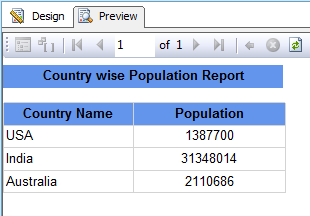 We can see all country names with total population. So this report is showing summary data for country and its population. VII. Preview the report. We can see first tablix showing summary data and second tablix showing detail data. X. Right click on the second tablix, copy and paste on newly created row of first tablix. 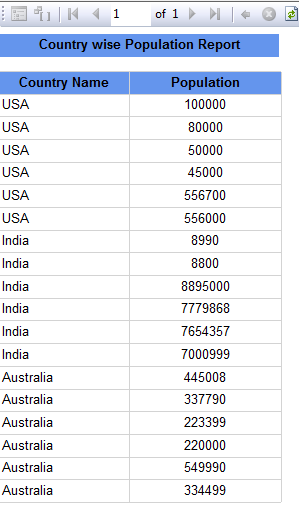 We can remove country column as it is already available in first tablix. We can show a tablix inside a tablix by inserting the tablix in any group of the parent tablix. Thank you!! I have been wasting time with complex grouping and subreports while looking for this answer everywhere with no luck. 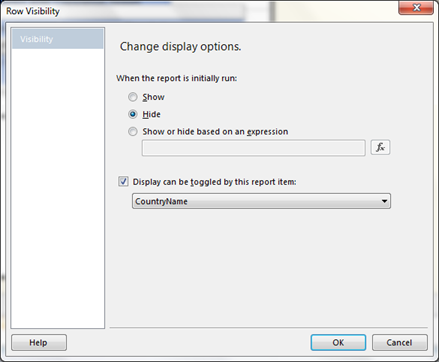 My report is finally working now!! i tried this one. but i am getting this error.. "Error.....The tablix ‘Tablix30’ has a detail member with inner members. Detail members can only contain static inner members." 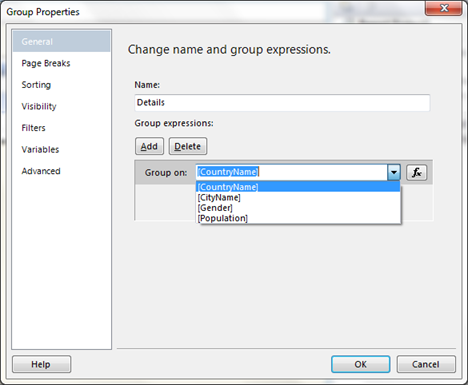 Typically this error happens when the outer tablix doesn't have anything setup in the Group Expressions in the Group Properties. This is still very usefull. Thanks again! from November 2015..
You are my angel who help me out from a big mess! Great review! 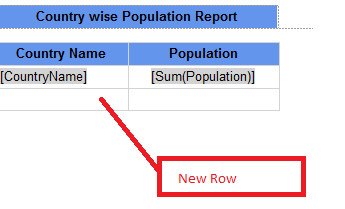 How can you paste three columns into a merged cell? I think something is missing...Can you explain in detail? Thanks a million !!!! You made it so simple and easy ! Saved my day !!! fantastic Article and great help Thank you. 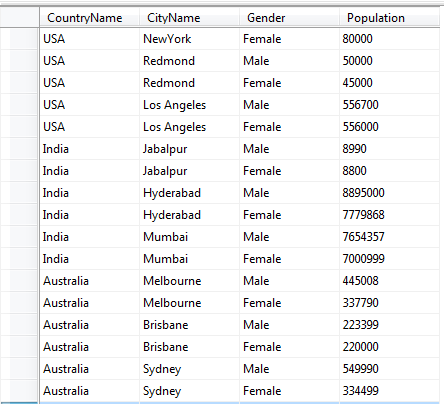 For me the grouping is not working . only the header of the second tablix is showing . Detail is not coming.. Please reply as soon as possible. 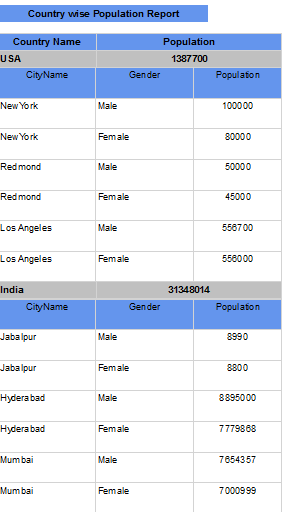 how to create tablix inside tablix with different dataset.anyone please suggest.